[S72] UK National Census for 1891 for UK, "RG12/3012 f59a p32 152." [S45] Website FreeBMD (http://freebmd.rootsweb.com/) "Births Jun 1891 Wilde Peter Prescot 8b 676." [S37] Website Cheshire BMD (http://cheshirebmd.org.uk/) "Wirral : BK68/1/278." 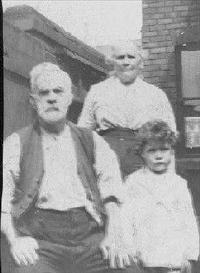 [S1] Website IGI (www.familysearch.org) "M005993 Robert Dainty m Jane Kendall 27 Jan 1830 S Nicholas, Liverpool."